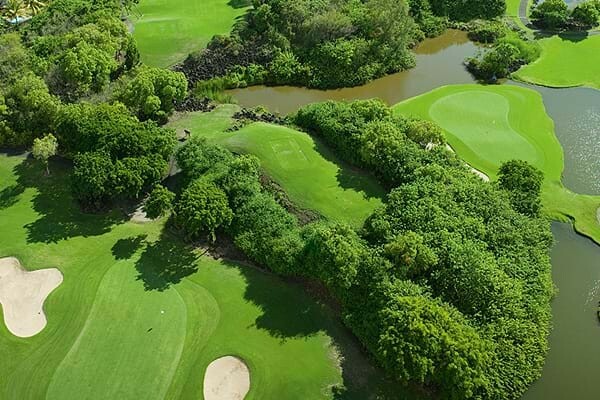 The Links course at Constance Belle Mare Plage is the newest of the two and is located just a 5-minute transfer from the resort. Designed by Rodney Wright and Peter Alliss, the course opened in 2002 and provides quite a different test to the Legend. This 18-hole course is set in a location which seems to have been naturally created for the purpose, laid out across beautiful undulating terrain, with raised tee-boxes and greens. It also has a Golf Academy offering coaching on the course by professional and qualified instructors. The use of golf buggies is mandatory due to its undulating nature.